Berlin, Germany – At this year’s Internationale Funkausstellung (IFA), taking place in Berlin, Germany, from September 5-11, Royal Philips of the Netherlands (NYSE: PHG, AEX: PHI) is unveiling a range of digital consumer innovations in a unique showcase of products and concepts that span Male Grooming, Kitchen Appliances, Coffee, Mother and Child Care, and Air purification. Air quality is a key driver of healthy living and consumers are increasingly aware of the need to ensure clean air in their home. 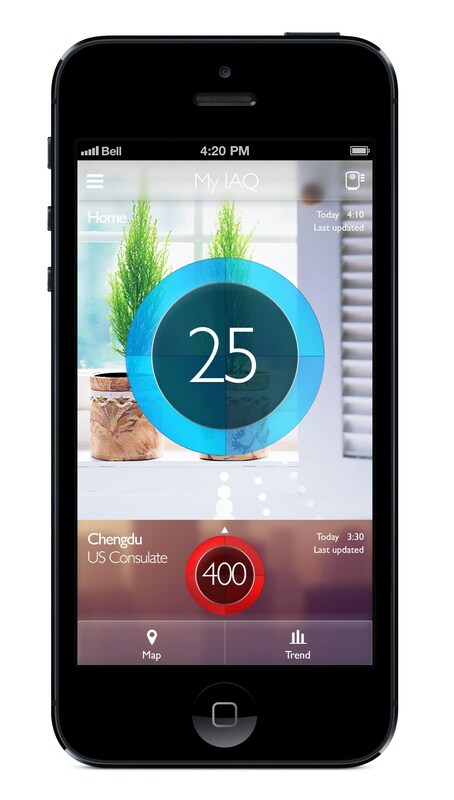 The Philips Smart Air Purifier provides families with the confidence and reassurance that they are breathing clean air, providing a real-time overview and control of indoor air quality via their smartphone. Philips Air Purifiers help families to feel better and more comfortable in the home, and can help to improve the lives of those suffering from allergies or respiratory problems. 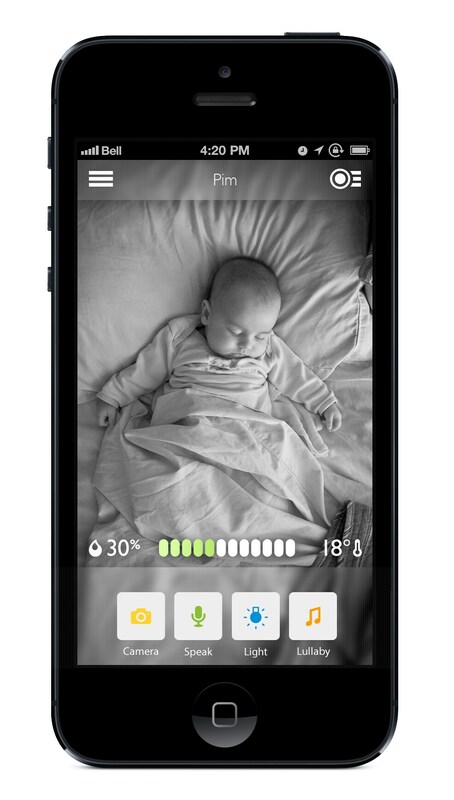 The Philips AVENT Smart Baby Monitor is designed for today’s ‘digital’ parents. The solution is the first truly reliable connected baby monitor, connecting to and operated by smartphone, with seamless switching between multiple connections, including WiFi and 3G. Supporting parents in building a routine for their baby, the monitor also connects to Philips’ revolutionary digital lighting solution, Philips Hue, for adjustable nursery ambience to aid bedtime soothing, breastfeeding and waking. 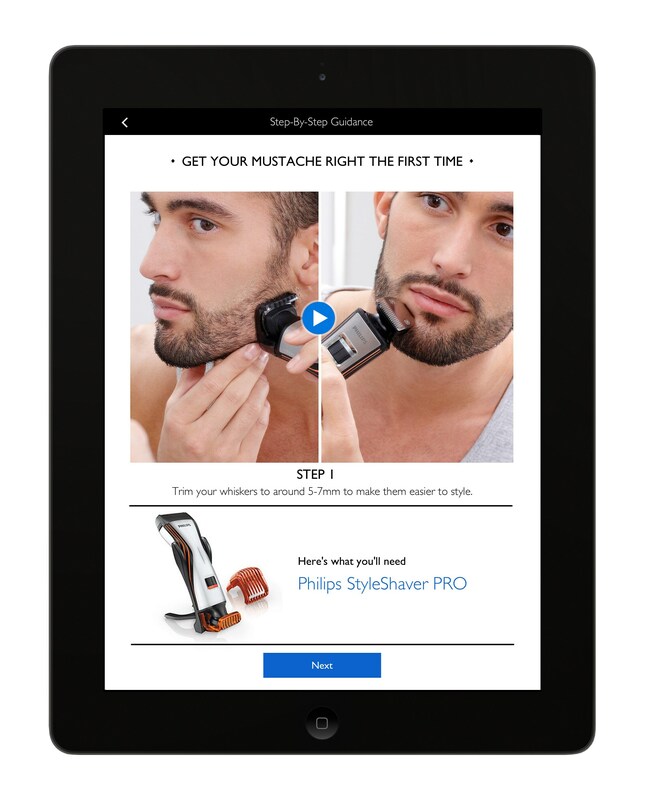 In Male Grooming, the Philips Grooming Guide is a service available on smart devices, which helps men visualize different facial hair styles and guides them on how to create these styles. It allows men to generate a photorealistic preview of over twenty different styles, providing personalized professional advice on which styles would suit them best, as well as comprehensive step-by-step guidance on how to create those styles. The Philips ‘HomeCooker neXt’ is a concept that sees Philips look to the future of cooking. 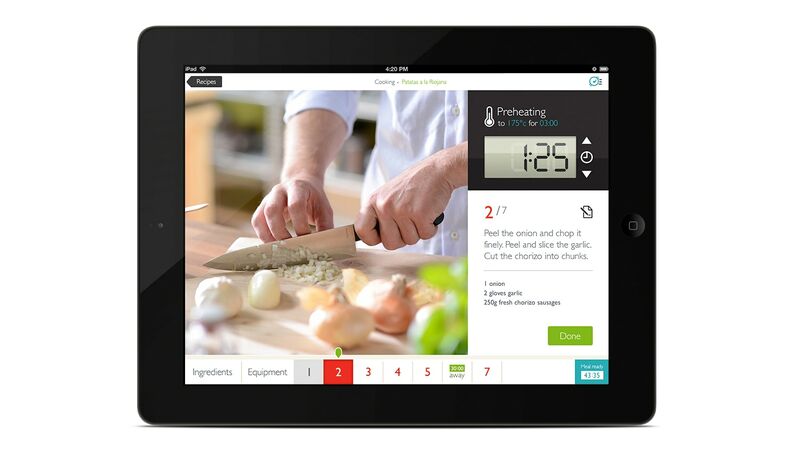 The HomeCooker neXt connects to a new, dedicated app where consumers can download digitally-ready recipes. These recipes communicate directly with the HomeCooker, telling it how to cook the chosen dish, intelligently stirring, changing cooking temperature and managing time. This concept delivers on the consumer need to create home-cooked meals from fresh ingredients, while being ‘free’ from the kitchen during cooking. Today’s coffee lovers are more invested in the coffee experience than ever before and desire the same variety, customization and personal preference found in their favorite café. The Saeco GranBaristo Avanti is a concept that allows consumers to create the perfect espresso, latte macchiato, or cappuccino exactly to taste, making them a barista in their own home. 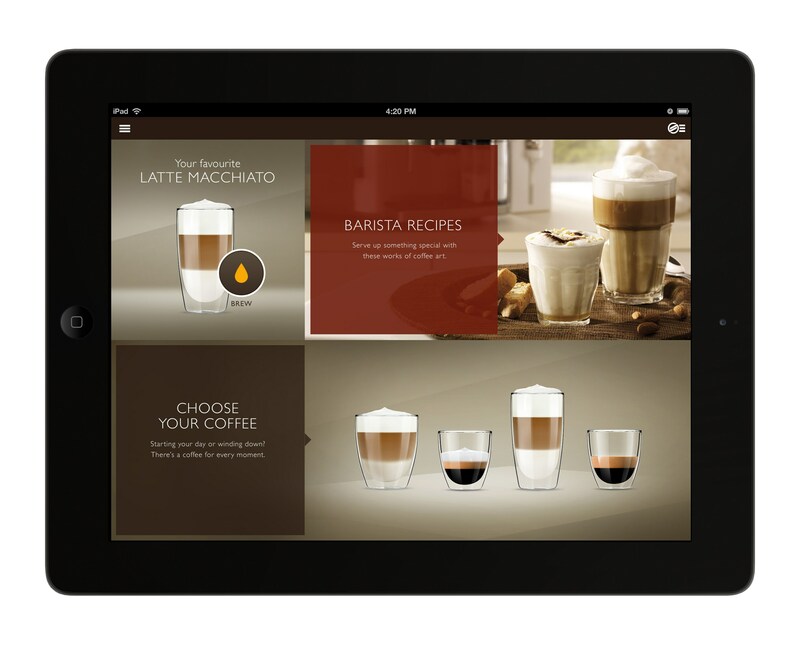 It’s a fully-automatic coffee machine that is connected to a smart app via a tablet or smartphone. The app is a knowledge hub to the world of coffee, providing inspiration and enabling the consumer to design their own coffee variety, and share it with others. Beyond the digital consumer innovations, the latest Philips products will also be on show at IFA, spanning Male Grooming, Oral Healthcare, Kitchen Appliances, Coffee, Beauty and Audio Video Entertainment. TP Vision will be displaying the latest Philips-branded televisions. The Philips press conference takes place on September 5 at 12.00 in Hall 22. It will be streamed live at www.ifa.philips.com. Philips Consumer Lifestyle CEO Pieter Nota will be joined on stage by TP Vision CEO Maarten de Vries and Wiebo Vaartjes, CEO of Philips Lifestyle Entertainment. Additionally, Pieter Nota will deliver this year’s IFA Opening Keynote speech. This takes place on September 6 at 10.15 in Hall 6.3. Mr. Nota will discuss how Philips is becoming the leading technology company in health and well-being and his perspective on the significance of digital in delivering innovating that has meaning for consumers. This keynote will also be streamed live at www.ifa.philips.com. For further information on the latest Philips innovations from IFA 2013 please visit www.ifa.philips.com. 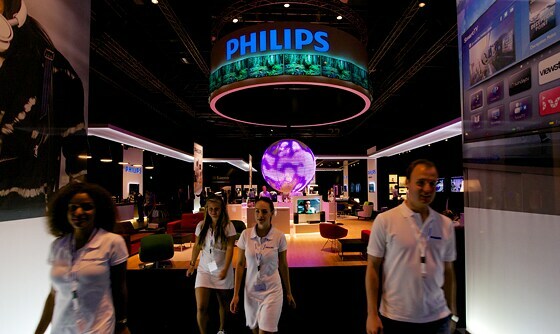 Follow Philips at IFA on twitter @Philips_IFA or use #PhilipsIFA. Please also visit additional social channels, Philips Vine, Instagram, Google+ and YouTube.